Setting up Lync for Office 365 I ran into a problem that the SRV records were not being recognized. The instructions in Office 365 are to define two SRV records for Lync. My provider is Linux based, so setting up the SRV records is a little bit tricky. 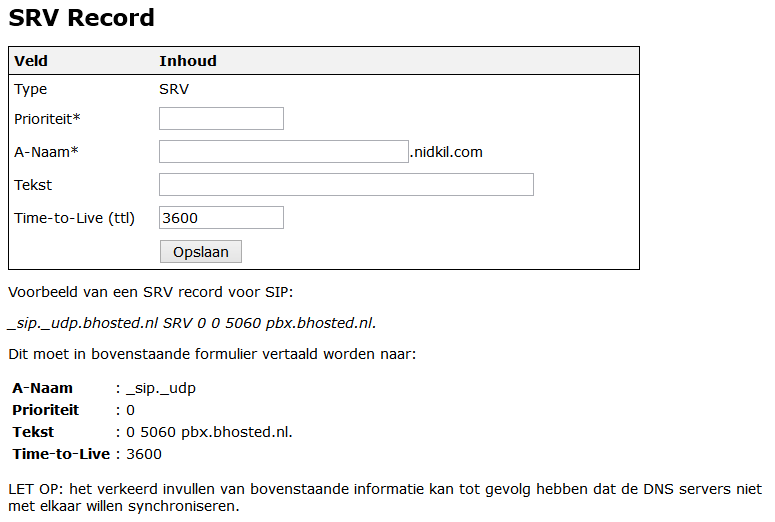 Anyway the general DNS instructions of Office 365 expect every field of the SRV record to be a separate field. As stated my provider runs on Linux and the web based DNS tool does not provide separate fields. The following fields and instructions are provided. Fields supported by domain provider. When I ran the verify functionality on the Office 365 admin console it indicated that the Lync SRV-records could not be found. After some searching I found the Microsoft Remote Connectivity Analyzer. Select the tab Office 365. 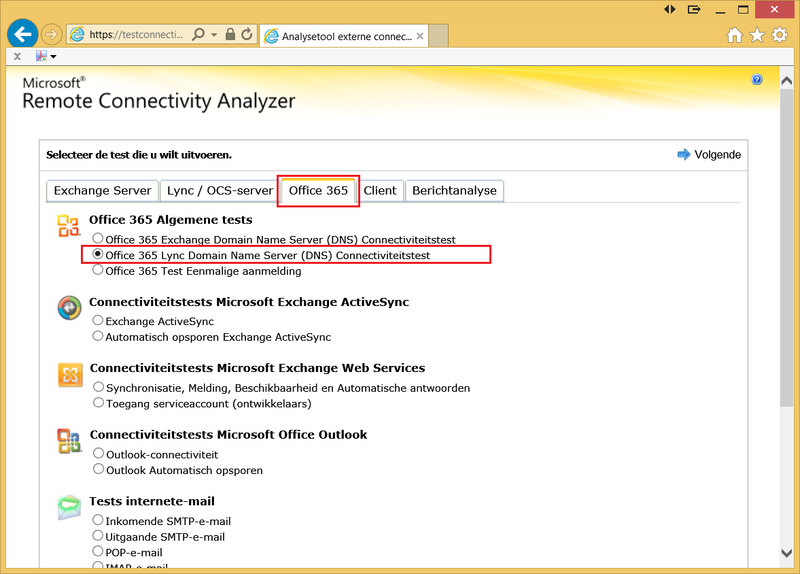 Select the option Office 365 Lync Domain Name Server (DNS) Connectiviteitstest. Click the Next button on the top right hand side. On the next page enter an email address of the Lync domain you want to test. Click on the button Execute test on the top or bottom right hand side. On the next page it displays the expected domains _sip._tls. ******.com and _sipfederationtls._tcp.******.com. As you can see the different parts of the subdomain are separated by dots (.). After these changes validation worked correctly.